Dalia terrace roofing - Jagram-Pro S.A.
Dalia terrace roofing is an interesting solution that utilises non-standard shapes. 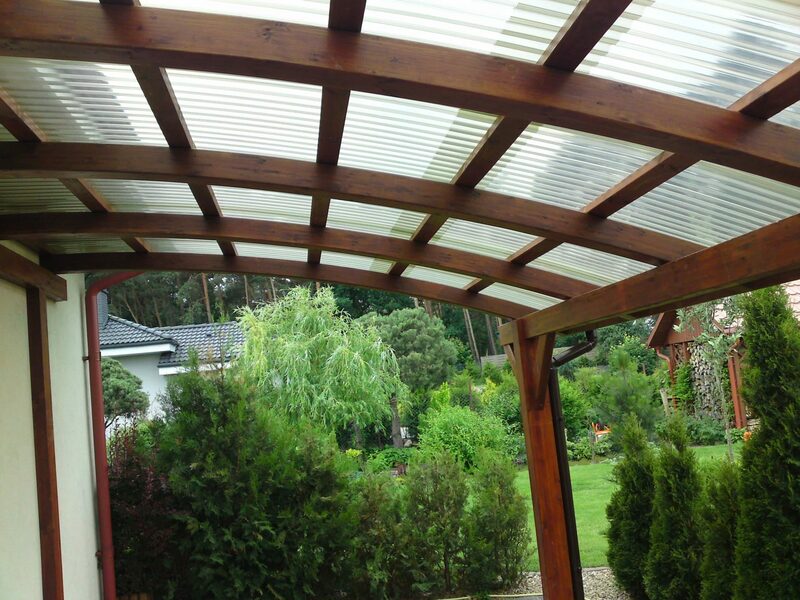 Garden products of lightweight structure, made from high quality laminated coniferous timber. Simple in its intent, but unparalleled and exceptional in its design. The perfect terrace protection against all weather conditions. 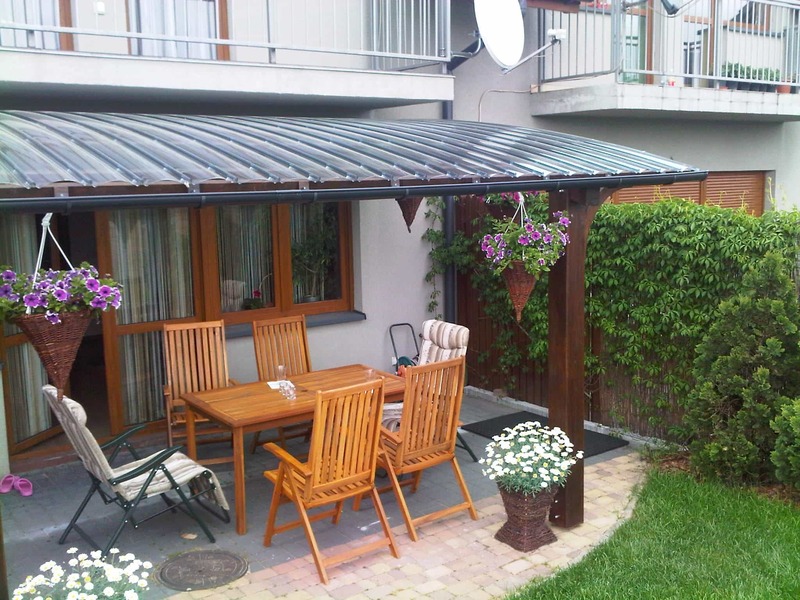 Quality time may be spent under terrace roofing, without having to worry about the weather. Our roofing structures are of the wooden type and our terrace roofing is made entirely out of structural, bent laminated timber. The quality of wood used for the carport is governed by strict guidelines verified by our quality controllers, from the moment sawn timber enters a Jagram-Pro S.A. Susz manufacturing plant, to packaging and shipping via our transportation, or external forwarding, all over Poland.